Jetting off on your summer holidays soon? Need some sunscreen for yourself and the family? 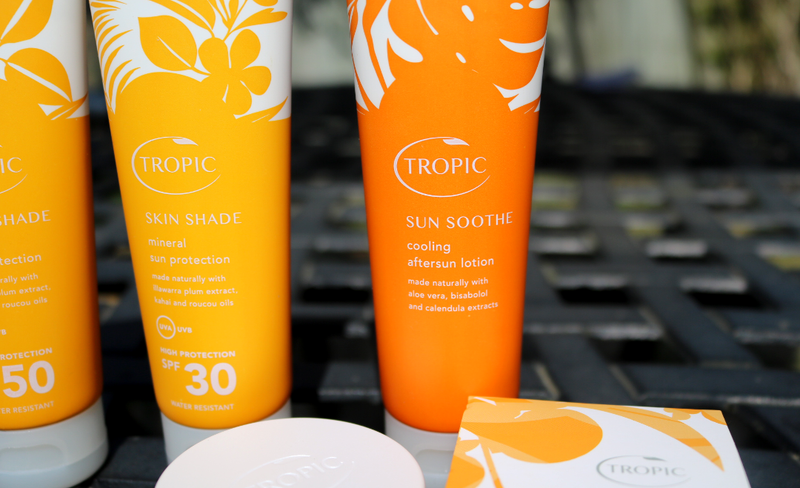 Don't forget to pack this super handy Sun Care Discovery Kit from Tropic before you go if you're looking for the best in mineral-based sun protection. Most big brand sunscreens that you'll find in the shops are called 'chemical' sunscreens because they absorb UV rays which are converted into heat energy on the skin. 'Natural' or 'mineral' sunscreens on the other hand, use minerals such as Zinc Oxide and Titanium Dioxide to reflect the UV rays, and this acts as a physical barrier which stops them from penetrating the skin. Both methods have been scientifically proven to be effective against sun damage, however, I have noticed a trend in more consumers wanting to go natural with their sunscreens because they don't contain certain ingredients which are harmful to the environment, and are less likely to cause allergic reactions in sensitive skin types. A recent study by National Geographic found that a staggering 4,000 to 6,000 tons of sunscreen washes off swimmers into the oceans worldwide every year and this has been causing a problem because Oxybenzone, a common ingredient in chemical sunscreens, has been linked to coral reef bleaching which causes them to die. When you think about how vital coral reefs are to our ecosystem, it makes sense to switch to a sunscreen that doesn't contain Oxybenzone! 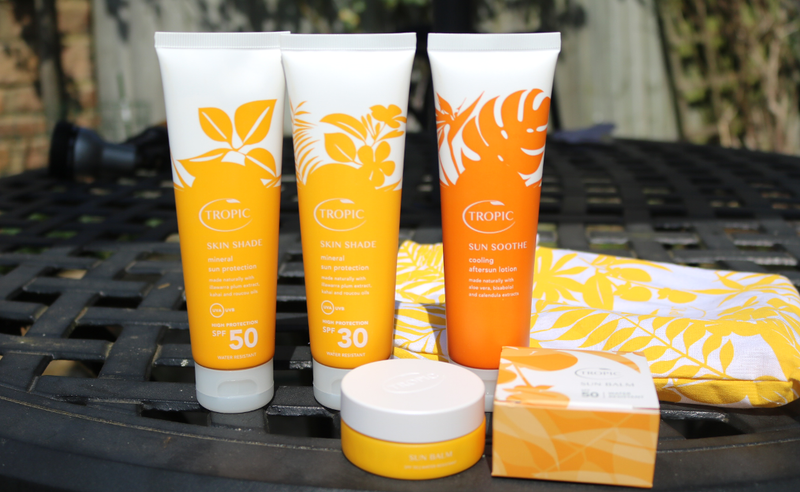 Thankfully, there are plenty of natural/mineral sunscreens out there, including this cruelty-free, vegan-friendly Sun Care Discovery Kit from Tropic which is perfect for the whole family to use. 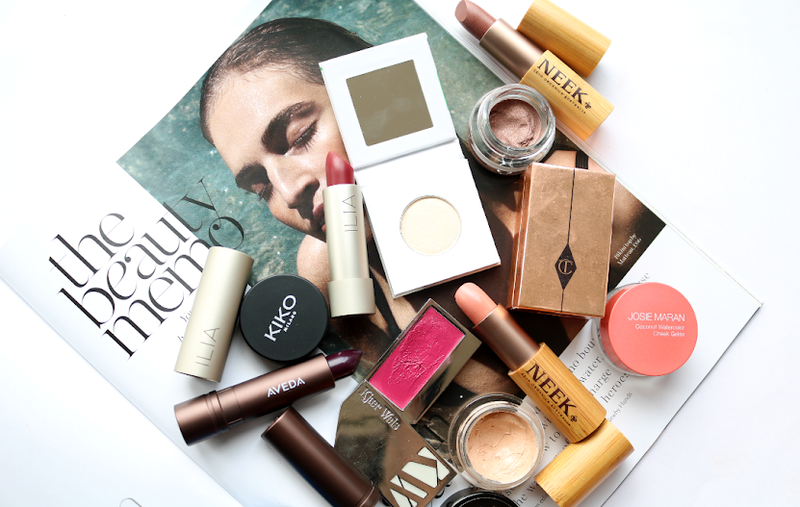 The kit contains a full set of travel-sized, mineral sun protection products and I've been enjoying testing these out recently during these wonderfully sunny spells that we've been having here in the UK. Inside the sunny tropical print, cotton drawstring bag, you'll find the following contents. This water-resistant, broad-spectrum mineral sunscreen will protect against both UVA and UVB rays so you have the peace of mind that you're fully covered, whether you're in the UK or holidaying abroad. As mentioned earlier, the mineral sun protection in this formula comes from Zinc Oxide and Titanium Dioxide, and there's also Kahai and Roucou oils included to keep your skin feeling softer and hydrated for longer, whilst extracts of Kakadu and Illawarra Plum have been added for their natural antioxidant properties. Both of these have the same kind of texture and once fully rubbed in, don't leave a white residue on the skin. 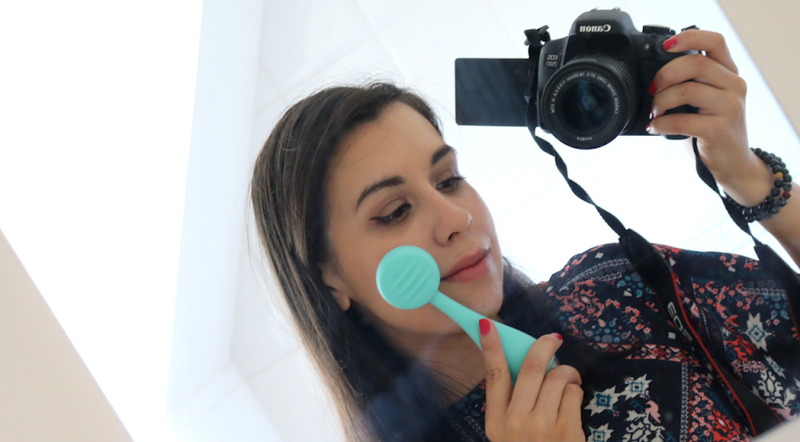 I have also tried these on my face and haven't had any problems with breakouts, but I do prefer using the specialised Tropic Tinted Skin Shade Mineral Facial Sun Protection (reviewed here), just because I like the tinted finish that it gives. Even with the best of intentions, it can be all too easy to want to stay out in the sun for longer than you know you should, which is why I always, always pack an aftersun product in my suitcase. 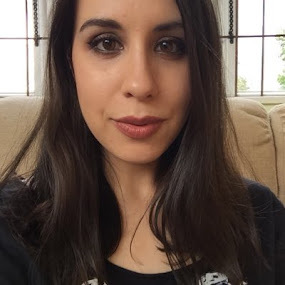 Tropic's Sun Soothe Cooling Aftersun Lotion ticks all of the right boxes that I look for in a high-quality aftersun that I can trust to work when I need it the most, and with Aloe Vera as its first ingredient, you know it's going to be good! In addition to Aloe Vera, it also has Argan Oil, Vitamin E, Bisabolol and Eucalyptus, to instantly soothe redness and irritation, as well as hydrating and repairing the skin at the same time. Needless to say, it feels absolutely lovely on and also helps to prolong your tan which is a welcome bonus. This convenient travel-sized balm has been specially designed as a top-up sunscreen, and comes in especially useful as a way to keep those tricky areas that are prone to burning (such as ears, noses, cheeks, shoulders etc) fully protected whilst you're out and about. I was expecting this to be quite thick but was pleasantly surprised by how light it actually feels. As well as the water-resistant SPF 50 factor, key ingredients include Tamanu Oil which helps with healing the skin, Vitamin E, and Rosemary Leaf Oil to protect the skin from free radicals. 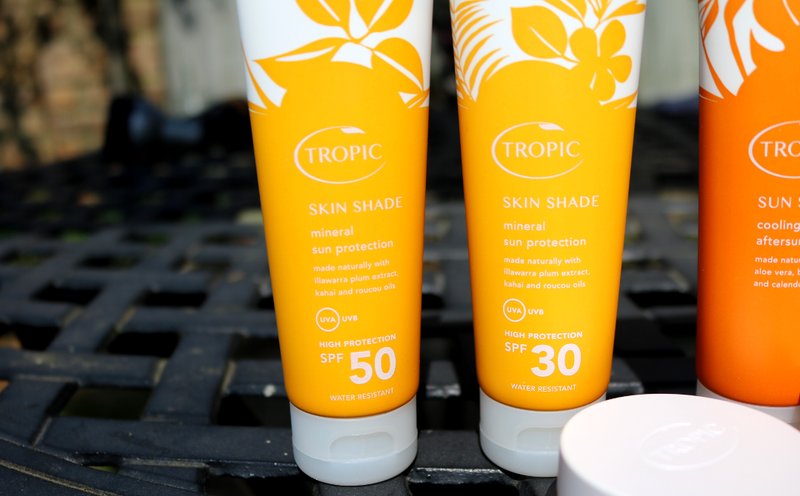 Worth £16 on its own, you can add Tropic's Sun Balm SPF 50 to the Sun Care Discovery Kit for an extra tenner and given how much use I've gotten out of it recently, it's something that I would definitely suggest spending the extra money on! Do you use mineral sun protection?